Today, FOX Sports announced the premiere of the PBA Clash on Sunday, Dec. 23, (2:30 p.m. ET/4:30 p.m. 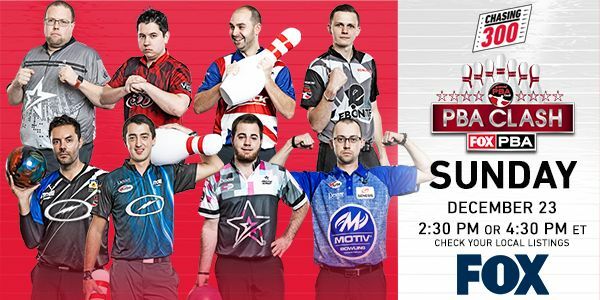 ET), a 90-minute special showcase event featuring eight of the 2018 Go Bowling! 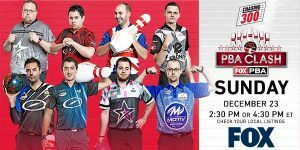 PBA Tour’s top stars, a preview of the 2019 FOX PBA series, and the debut of the unique Specto StrikeTrack ball-tracking analysis, which becomes a mainstay of FOX Sports’ coverage of PBA competition in 2019. FOX and the PBA have entered into a multi-year contract with Kegel for the use of its Specto technology to provide real-time ball tracking during all events. Using Specto’s technology, StrikeTrack provides a completely new experience to the viewer with visual examples to support the action on screen. 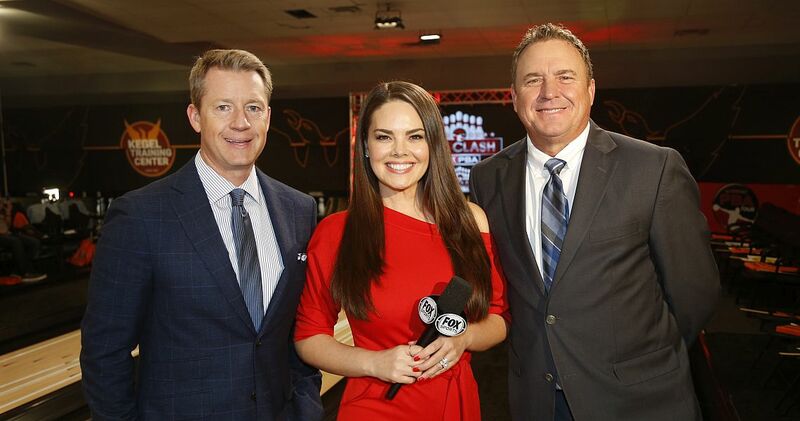 Featured photo from left: PBA Clash announcers Rob Stone, Kimberly Pressler and Randy Pedersen. Viewers will see a live trace of the ball as it rolls down the lane, as well as ball speed, location and RPM, to name a few of the features. Watch an example here. “We are extremely excited about this new technology to debut on our PBA events,” said Zac Fields, FOX Sports Senior Vice President, Graphic Technology & Integration. FOX PBA analyst Randy Pedersen is impressed by the StrikeTrack technology. Held at the Kegel Training Center in Lake Wales, Fla., the PBA Clash is hosted by Rob Stone, with longtime PBA analyst Pedersen and reporter Kimberly Pressler. The telecast includes a $25,000 winner-take-all single-elimination competition with eight of the 2018 season’s leading money winners including Jason Belmonte, Anthony Simonsen, Dom Barrett, Andrew Anderson, EJ Tackett, Marshall Kent, Stuart Williams and Jakob Butturff. The telecast also features profiles of the eight players, the announcement of the 2018 Chris Schenkel PBA Player of the Year and the Harry Golden PBA Rookie of the Year, and a preview of the historic 2019 Go Bowling! PBA Tour schedule of FOX and FS1 telecasts. The PBA on FOX makes its 2019 debut on FS1 on Sunday, Jan. 6 (11:00 a.m. ET), with live coverage of the PBA Hall of Fame Classic finals on from the International Training and Research Center in Arlington, Texas.